From December to April, the famed offshore region of the Silver Bank fills with the haunting melody of whale song, as humpback whales come to calve. There’s also a wonderful array of scuba diving sites off every coast, including vibrant, fishy reefs, light beam-filled caverns and a long list of brag-worthy wrecks, both natural and purpose-sunk. Warm water and generally good visibility make most of the Dominican Republic a year-round destination. Diving in the Dominican Republic is easy and trouble free. 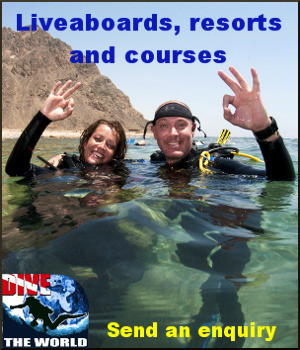 There are many dive operators that don’t plan their excursions but wait to find out from the occupants of the boats where they would prefer to go. Underwater environments in the Dominican Republic include mangrove forests, deep wrecks and a vast reef structure featuring cavernous swim-throughs and extensive coral formations. Many of the dive sites are suitable to beginners, and many of the island’s resorts offer discovery dives for those that have never blown bubbles before. However, beginners will feel most comfortable on the southern coast where currents are calmer. Advanced divers can explore both coasts as well as the deep wrecks and walls. Not a DIVER ? Why not snorkel with humpback whales ? The beautiful TURKS & CAICOS AGGRESSOR II™ offers an exciting itinerary from January – April to the Dominican Republic to snorkel with Humpback Whales at the Silver Bank. This area, twenty square miles in size, is located north of the Dominican Republic and approximately the same distance from the Turks & Caicos Islands. During the week, guests of the Aggressor Dominican Republic Humpback Whale Watching itinerary will observe the whales at close range which includes above the water and soft in water encounters. You'll see them spin and play, hear their haunting songs resonating through the water and sense the power and grace of some of the most intelligent mammals on earth – it’s a life-changing experience! All whale charters depart from Puerto Plata, Dominican Republic. The Turks and Caicos Aggressor II™ is one of the few yachts permitted access to the Silver Bank during the Humpback mating and breeding season.